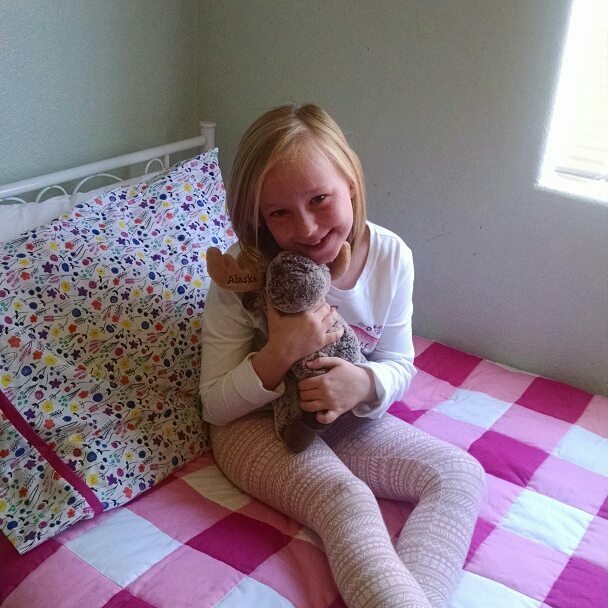 My little granddaughters, Alayna & Audrey, moved in to their own bedrooms. They needed some new quilts for their new twin beds. I quilted in the ditch on both quilts. Here's the backing of Alayna's - she wanted flowers. I also made matching pillow cases. 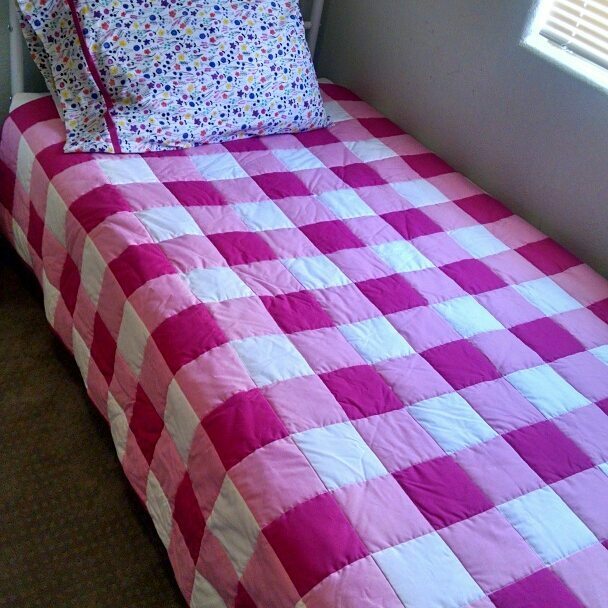 They wanted "big" quilts, which translated into adult language is "puffy", so I used polyester batting on both of them. Audrey wanted birds on the back of hers. 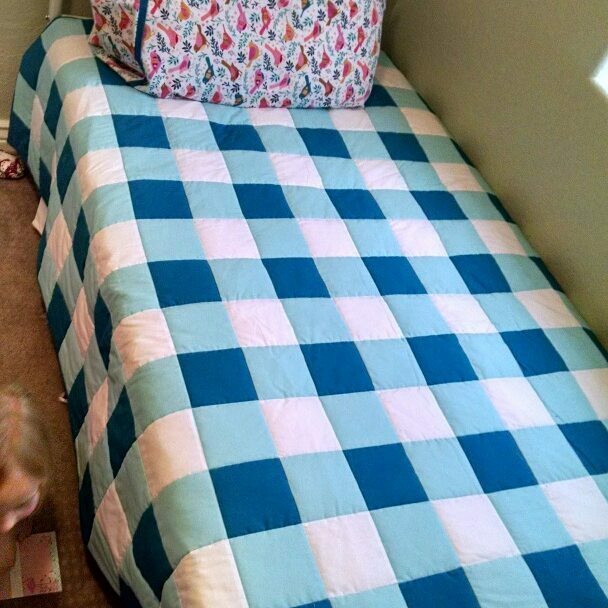 My friend, Carol - from Montana, also used this same pattern to make her gingham quilt. I honestly never thought of using prints! I quilted a simple all-over wave pattern on Carol's. I LOVE her coral binding print. Gingham seems to be the fun "go-to" quilt these days. I will certainly be making more. It's a free download found here from Jolly Jabber and the Fat Quarter shop. Aww, Kathy . . . these quilts are so sweet. The girls are adorable too, of course. 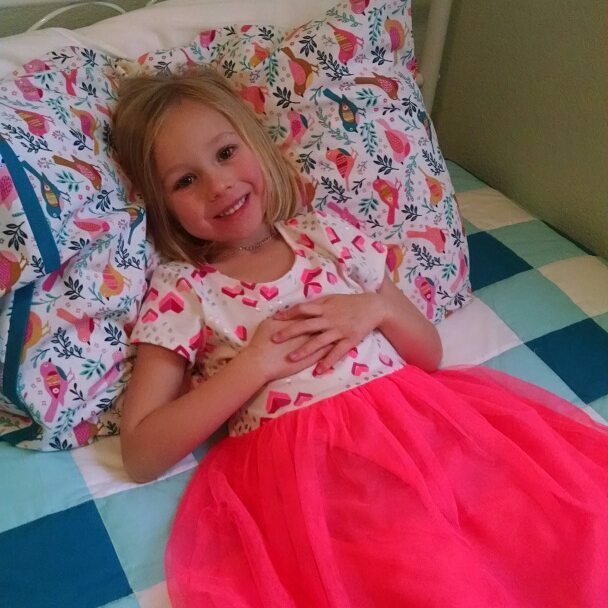 So fun to make quilts for special people. These quilts are filled with love. A great pattern for a very fast, easy quilt when you need one! AMAZINGLY SWEET quilts and grandies!! I can't believe how straight the stitching is on the back of the binding. Mine is always wobbly. How do you get it so perfect?